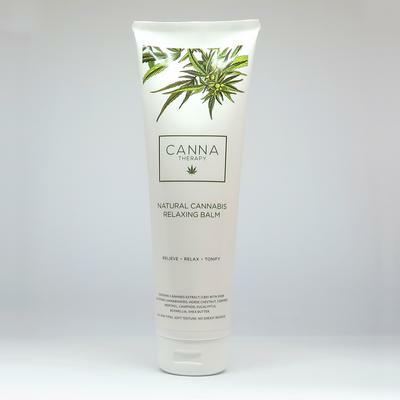 Canna Therapy is completely inspired by nature and has been carefully researched to combine the best possible ingredients which are carefully balanced with each other in harmony with your body. The body balm absorb instantly, is non-greasy and the ingredients aid relaxation of your body. Use as a relaxing massage balm to relieve aching and stiff joints, back and muscles, stretched tendons, bruises and post exercise. It is a very popular product and ideal to have in your cupboard for many reasons. 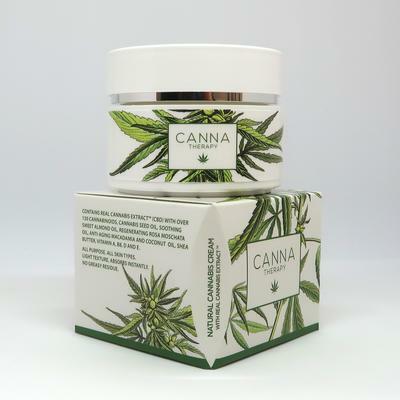 In addition to CBD rich hemp extract, the body balm also contains extracts of Horse Chestnut, Compfrey, Methol, Camphor, Eucalyptus, prized Boswellia (Frankincense) and Shea Butter, all working together to enhance each others effects on the musculoskeletal system. The Body Balm is a natural product, it is not tested on animals and does not contain pretroleum products. It is FREE FROM paraben, silicon, SLS (sodium lauryl sulphate), SLES (sodium lauryl ether sulfate). Apply directly to the skin of the affected area, great as a massage balm.